Lindsey Vonn may have competed in her last ski race. After failing to finish a World Cup super-G on Sunday as she battles pain in both of her knees, Vonn said immediate retirement "is a possibility." "I really don't know what to think at this point," she said. "Definitely isn't the way I had hoped that things would go. I've been able to fight through a lot of injuries in my career but I think my injuries might get the best of me at this point. … I'm not sure. I'm going to give it a couple of days and make some decisions." "I was charging today but then when I got to the finish and Sofia was there I was just overwhelmed with emotions — and it was really special that she came," said Vonn, who has developed a friendship with her Italian rival in recent seasons. "It really means a lot to me." "I just told her, 'Congratulations and awesome skiing. 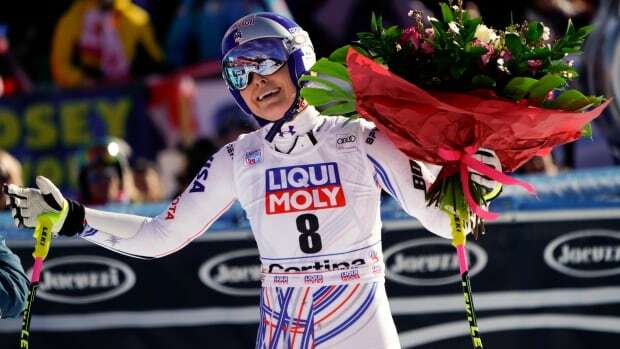 It was a well-earned victory today,"' Vonn said. "It's great that another American is on top of the podium."